In early winter, the Tai Ah Divine Kingdom had its first snow. Ten months had pa.s.sed since Yi Yun had left the Tai Ah Divine City. The batch of cultivators that entered the Tai Ah Divine City with Yi Yun were now second years. And the new batch of Tai Ah Divine City cultivators had entered the Tai Ah Divine City three months ago and they all had finished their initial jobs. Now, it was time for these rookies to partic.i.p.ate in the rookie ranking compet.i.tion. The rewards for this rookie ranking compet.i.tion was 100% better than the last one! The main reason was that the Tai Ah Divine City city lord’s birthday was coming! For a figure at the level of the Tai Ah Divine City city lord, they had one birthday banquet every one hundred years. And on the day of the birthday banquet, he may be in reclusive training or out exploring ruins. Due to a mult.i.tude of reasons, a birthday banquet would not be held. In fact, the current Tai Ah Divine City city lord was a bit mysterious. In the last few centuries, he seldom appeared, not to mention holding any form of birthday banquets. The people in charge of the Tai Ah Divine City were mainly the two elders, Jian Ge and Cang Yan. When he suddenly announced his birthday banquet, it surprised many. Some people speculated that there were some special reasons. Of course, these were just things that the upper echelons considered. For the rest of the Tai Ah Divine City cultivators, it was definitely good news. Being able to attend the birthday banquet of such a legendary person and witnessing such an event was a great privilege. And during the birthday celebrations, many of the resources within Tai Ah Divine City were discounted and many of the rewards were increased. These were the most practical benefits! Of course, the rookies that ranked high in the rookie ranking compet.i.tion would gain the most from the city lord’s birthday celebrations. In order to become first amongst the rookies, all of them used the moves all they had, showcasing their best skills. Now, it was the battle to decide who the best rookie was! The final battle was between a young man and a young girl. The young man’s name was Lu Jie. He did not come from a prominent background, and he could only be considered to be an above-average n.o.ble. As for the young girl, Wen Yu, she came from a prominent family and she was indeed a proud daughter of heaven. Both of them were thirteen years old. It could be said that many paid attention to their battle, so many senior cultivators came to watch. Qiuniu and Chu Xiaoran were amongst the crowd. They were recognized the moment they entered the arena. Qiuniu and Chu Xiaoran had both entered the top 1000 of the Heaven roll within a year! Especially Chu Xiaoran, who had reached the ranking of 890 on the Earth ranking at the end of her first year. Her Heaven ranking was more ridiculous, at 860! To enter the top 1000 of the Heaven and Earth rolls in the first year as a Tai Ah Divine City rookie was impressive. It was enough to stir up a storm in the Tai Ah Divine Kingdom. And Chu Xiaoran entered the top 900 of both rolls. It was even more astonishing! To this batch of Tai Ah Divine City rookies, their senior sister, Chu Xiaoran was a legendary person. She had condensed an Aspect Totem before the Yuan foundation realm, and her comprehension of the laws far exceeded warriors her own age. With so many rings of light surrounding Chu Xiaoran, this made many rookies become loyal fans of Chu Xiaoran. The appearance of Chu Xiaoran and Qiuniu stirred up quite a frenzy. Rookies quickly made way for the two of them. Lu Jie and Wen Yu also admired the two of them. Although they were geniuses, they knew that compared to Qiuniu and Chu Xiaoran, they were a distance away. They had even heard that in the last rookie ranking compet.i.tion, Chu Xiaoran was not the champion. It was a youth named Yi Yun. But Yi Yun was too rash as teenager, and he went alone into the forbidden lands of Meteorite Abyss–Fallen Star Gate to train. After that, he disappeared. It was said that Tai Ah Divine City’s Elder Cang Yan even went into Fallen Star Gate to look for Yi Yun but he found nothing. Up to now, Yi Yun had disappeared for ten months. Originally, the cultivator’s ident.i.ty token not only recorded the person’s ident.i.ty, dragon scale runes and the points gained from killing desolate beasts, but it also provided their location. But even by searching the spot, Yi Yun was still not to be found. As such, it was most likely that Yi Yun’s ident.i.ty token had been destroyed in Fallen Star Gate. This ident.i.ty token was considered an average magical item, and it was not that strong. In the chaotic environment within Fallen Star Gate, it was not surprising for it to be destroyed by the pure Yang flames. As such, Yi Yun’s situation was not optimistic. Some people believed that Yi Yun had died. According to the Tai Ah Divine City’s regulations, people who disappeared for a year was considered dead. Historically, there were super crazy people who trained in the Divine wilderness for nearly a year. Some people were originally thought to be dead, but they returned safely. But such events were rare. Even so, they were not like Yi Yun. According to the news brought back by Chu Xiaoran and Qiuniu, Yi Yun had went into Fallen Star Gate to train. Even the most awesome people did not dare train there for so long! Hence, many people felt that the odds were greatly against Yi Yun. In the Tai Ah Divine Kingdom, only geniuses who were nurtured were paid attention to. As for geniuses who disappeared or died, they would quickly be forgotten. As such, only Chu Xiaoran, Qiuniu and the second year cultivators deeply remembered of Yi Yun’s past glories. As for the new batch of cultivators, they did not know Yi Yun’s name. Even if they had heard it, it would only be a story of novel interest. Wen Yu and Lu Jie showcased all their skills and they fought impressively. The two of them had entered the top 4000 of the Earth roll. This match was their final battle to decide who was the champion amongst the rookies. The battle quickly entered the most intense stage. And amongst the crowd, Chu Xiaoran was drifting off. Her mind was clearly not focused on the match. “What’s the matter Xiaoran? Thinking about Yi Yun?” Qiuniu, who was beside Chu Xiaoran, asked. “Yes&h.e.l.lip;” Chu Xiaoran nodded. She came to watch this rookie ranking compet.i.tion not to focus on Wen Yu and Lu Jie. The both of them would not pose a threat to Chu Xiaoran in the future. Chu Xiaoran came to this match to reminiscence about the battle she had with Yi Yun last year. Although she had lost in that battle, it was the battle that left the deepest impression in her life thus far. As such, she felt extremely strongly about it. “Who would have thought that we returned safely, but only Yi Yun disappeared. Even though Elder Cang Yan also thinks that something happened to Yi Yun, I still think that Yi Yun would not die so easily. He has not returned because of some reason&h.e.l.lip;” Chu Xiaoran said faintly. In a swamp about 50 kilometers away from the Tai Ah Divine City. This swamp was not the Blackwater Swamp. It was an area very close to Tai Ah Divine City, so the desolate beasts in the swamp were very weak. Typically, only rookies would train here. It may be training, they were only out here to really see the world. They needed to familiarize themselves on how to work in a small team to kill desolate beasts. This was to lay a foundation for them to traverse the Divine wilderness in the future. In the swamp, at this moment, there was a team of rookies killing desolate beasts. As this was their first time out of the city, they were extremely tense as if they were fighting the greatest of enemies, even though it was just 50 kilometers from Tai Ah Divine City. “Leader, look there. There’s a person!” A team member in charge of alerting the team noticed that there was a youth at the end of the swamp walking over with a saber in hand. This youth seemed to dress very specially. He had a slender body, but the clothes on his body were clearly one size smaller. They were also greatly worn out, they could be described as rags. It seemed as if his hair had not been cut for a very long time. It reached down to his shoulders like they were wild gra.s.s. The saber in his hand was also halved. He seemed to have gone through a great crisis and then be robbed by someone after that. The team members were not even sure if this person was a Tai Ah Divine City cultivator. Could he be a Divine wilderness barbarian? As the youth approached, the team became more alert. “What are you?” The seven people asked with their weapons in hand. The youth smiled and exposed his two rows of white teeth. He had finally met some people after a long time! Loneliness was an emotion not to be dismissed. Even Yi Yun felt extremely lonely after cultivating alone for an extended period of time. Now when he suddenly saw people, he felt a warm feeling surging over him. Qingfeng was the present divine emperor’s reigning t.i.tle. The Tai Ah Divine Kingdom used the reigning t.i.tle as a marker through the years. Typically, people would only say the last two digits as the numbers in front were too long. So they were often omitted. “Seventh day of the winter month. That means it’s 7 November. I actually spent so long cultivating in Pure Yang Sword Palace&h.e.l.lip;” Yi Yun sighed. Time really did not mean anything while cultivating. “Hey, you haven’t told us what sort of person are you?” The team leader asked again. “Cultivator?” A few of the cultivators were shocked. They looked strangely at Yi Yun. This fellow was also a cultivator? He sure was in a sorry state! As rookies, they were already in quite a tragic state. But now seeing this youth, they were nothing. He was no different from a beggar. The rookie team leader seemed to looked extremely enthusiastic. He advised Yi Yun with his recently gained experience. Since he was returning to Tai Ah Divine City, Yi Yun was in a good mood. He had been in reclusive training in the Pure Yang Sword Palace for nearly 10 months. On his way back, he had killed desolate beasts, consolidating his Aspect Totem. Now, Yi Yun’s cultivation level had officially entered the peak of the Purple Blood realm. The next step was to begin forming the Yuan foundation. 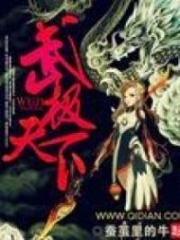 You're Read True Martial World Chapter 303 - City Lord’s Birthday Banquet online at NovelOnlineFull.com. You can use the follow function to bookmark your favorite novel ( Only for registered users ). If you find any errors ( can't read,broken links, can't load photos, etc.. ), Please let us know so we can fix it as soon as possible. And when you start a conversation or debate about a certain topic with other people, please do not offend them just because you don't like their opinions. You're reading True Martial World. This manga has been translated by Updating. Author(s): Cocooned Cow,蚕茧里的牛. Already has 9143 views. Current Time is 21-Apr-2019 02:41:10 AM.